A rare pattern produced at the Paris Mint and designed by Barre. It is thought that only about ten such specimen finish pieces were minted. 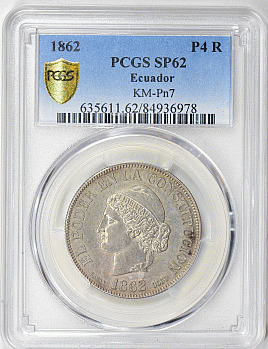 Description: A rare pattern produced at the Paris Mint and designed by Barre. It is thought that only about ten such specimen finish pieces were minted.